Nike’s personalization has, for years, been focused on product customization. 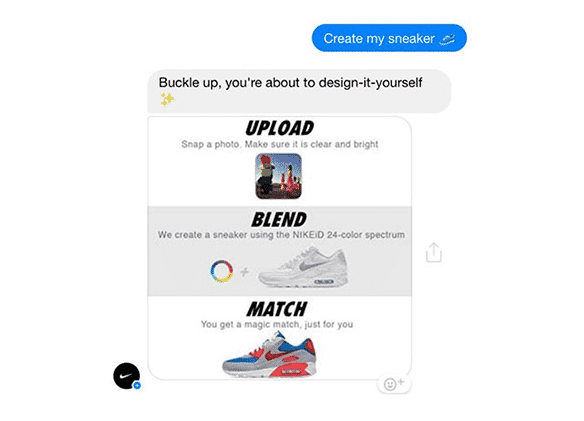 The ability to customize colors and materials of NikeIDs has been core to this strategy, but rather than continuing in niche customization alone, Nike is extending personalization of the customer experience both online and in-store. The site features extensive customer onboarding to give shoppers a personalized experience with frictionless optimization between channels. 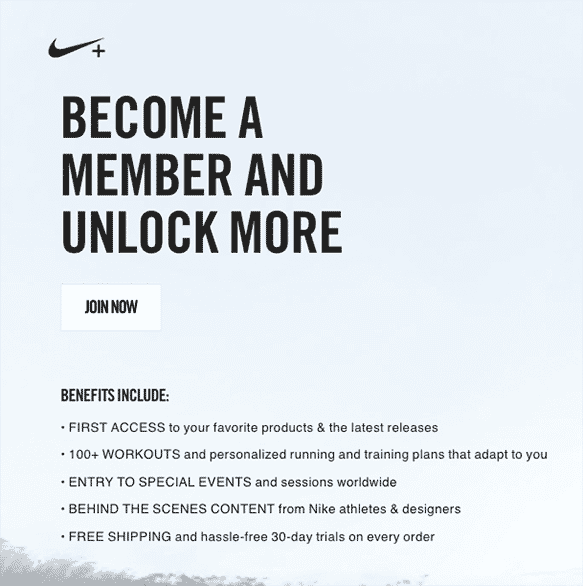 The more customers engage with Nike the more ‘unlocks’ they earn on the app, as well as free product trials, priority checkout in select stores and free shipping. This includes the option for users to upload their photo, shoe size, and select the content they want to receive. Member status gives customers exclusive access to new styles, pre launches, and weekly product picks in the app. This year, Nike launched a studio in New York where its loyal Nike Plus members can design a shoe with a consultant onsite and produce them in under less than an hour -- commencing Nike’s unique, celebrity treatment of its customers. Elsewhere, Nike is testing enhanced in-store features to better connect the online and traditional retail worlds through lockers for easy product pickup and access to sales “athletes” for guidance. Nike asks new customers for all kinds of data, including shoe size and content preferences, in order to fuel future personalization. One particularly important aspect of a customer’s profile is member status, which gives shoppers exclusive access to new styles and pre-launches, as well as curated product recommendations. 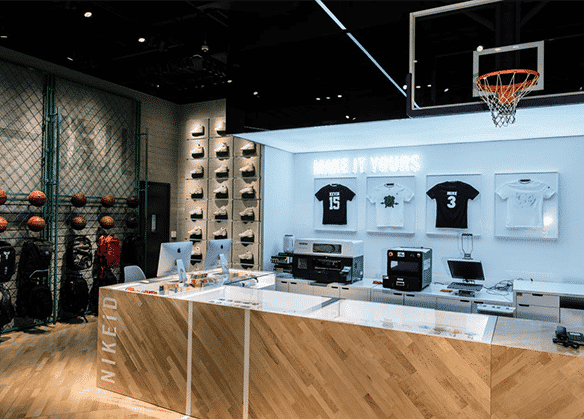 Nike recently invested heavily in improving its physical customer experience; its New York flagship even has an in-store basketball court. NikePlus enables the brand to keep track of people wherever they are and integrate their on- and offline shopping experiences. Examples of the latter include priority in checkout in stores and access to members-only store hours. Not only are Nike’s stores filled with people ready to share their expert advice, but so are the brand’s digital properties. A particularly helpful digital assistant is there to guide consumers through any question they may have, including how to create their own custom sneakers.